GPS and WiFi problems, whats missing inside? I bought a second hand iPhone 4 a few weeks back and knew straight away that the gps and wifi was crap, i also found that the speaker has blown. i had to open it up the other day to clean the camera of dust, while inside i noticed what looked like missing screws, i though no more of it it all till today. I was trying to use a running app that couldn't track me so i thought i would look into it, while on here i spotted picture of a emp shield that has screws running through it that make up the arial, i also read that static can interfere with speakers. 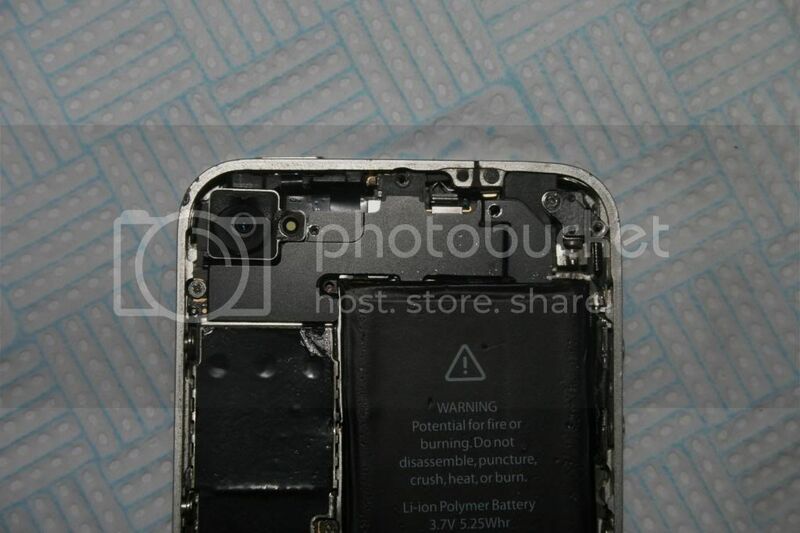 here's a picture of my phone and all the missing screws, whats missing and where can i buy it guys?. Thanks again oldturkey, I've ordered the parts and in a few days ill have it all put back right I'm hoping. Why would someone remove the screws and just leave them out haha it mad. I'll report back with the outcome, and if it solved the "blown speaker" as. Sounds like a plan:-) I bet there is more to the phone than just the missing screws. Looks like an attempt to some sort of repair....could be a definite challenge. Hope you ordered a replacement speaker, just in case ;-)Best of luck to you. Hex, looks like you are missing a few screws (not in a proverbial sense;-) check the attached image for a screw chart. Also, if you check this guide and read through the individual steps, you should get all the screws in the proper order. The screw set is available at places like this, as well as here and multiple others, depends on where you reside:-). Hope this helps, good luck. Thanks for your quick reply and help bud, I'll check the links you posted out, do I have to buy a full set of screws and then sift throughy them to find the right ones haha?. You are welcome. It is most likely that you will have to sort those out yourself, but that will depend on the individual seller. I recommend to purchase a full set, it will be very difficult to purchase individual screws. Best of luck to you. Hex sonsuza kadar minnettar olacak.